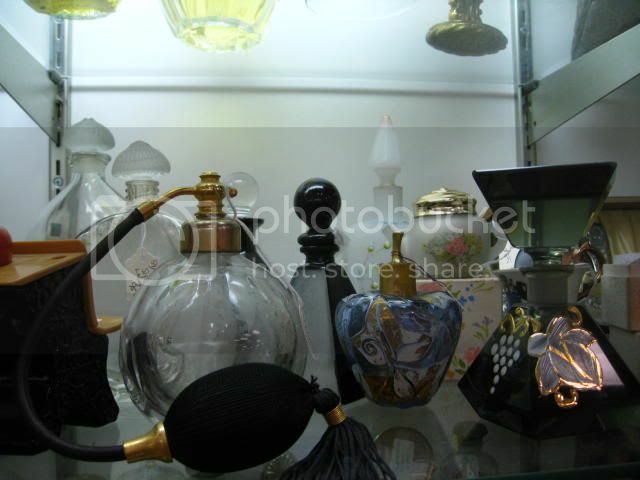 Here are some of the antique and vintage perfume bottles from our antiques mall. 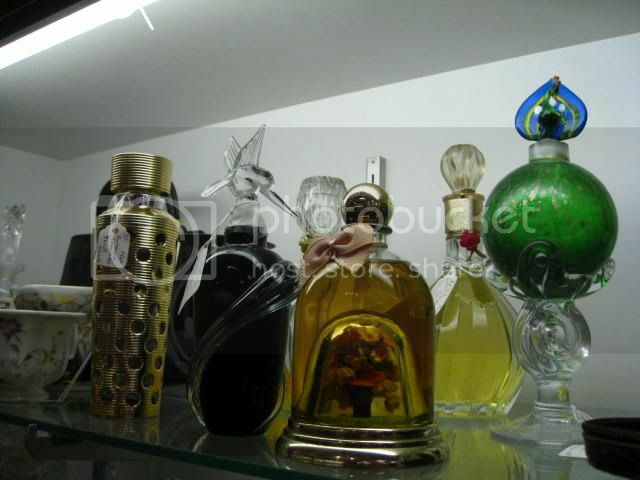 We have multiple vendors inside our huge mall that showcase these very sought after collectibles. 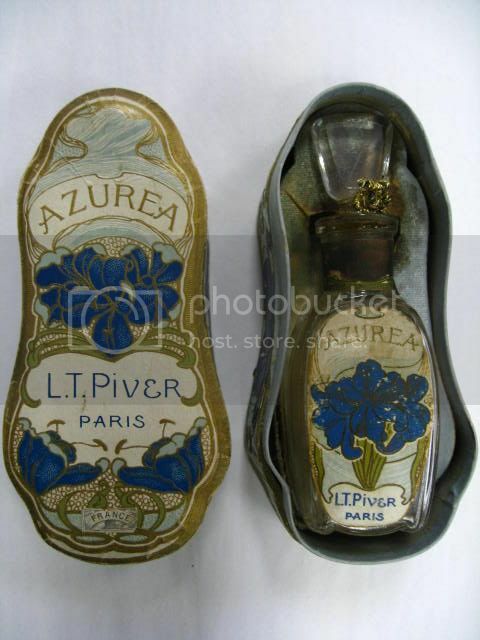 We also buy antique and vintage perfume bottles. 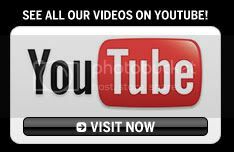 If you have some you would like to sell Click here to Contact Us! 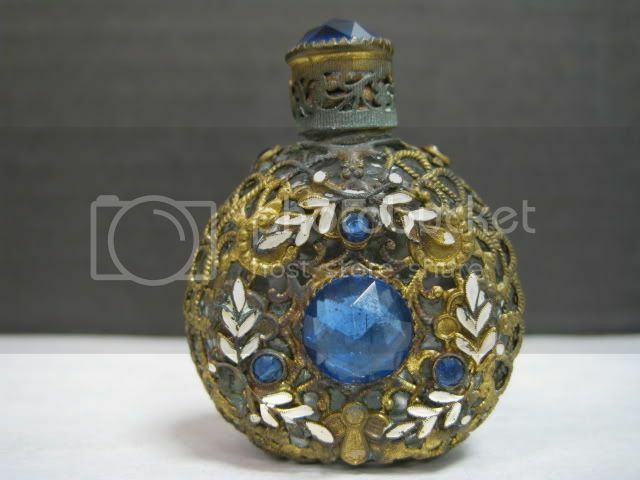 Czech Jeweled Filigree Perfume Bottle! 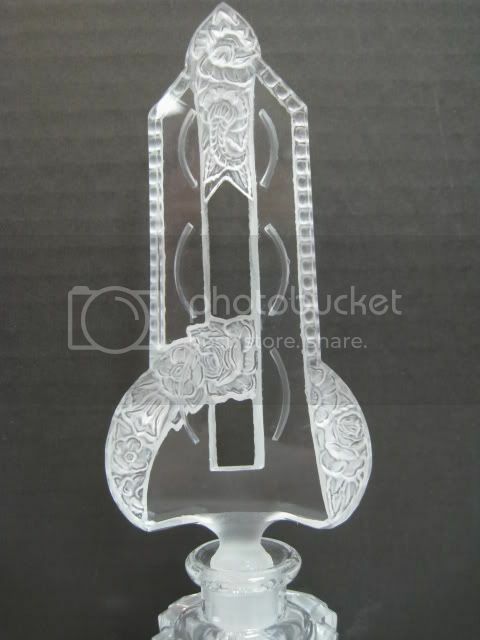 Large jeweled and filigree perfume bottle. 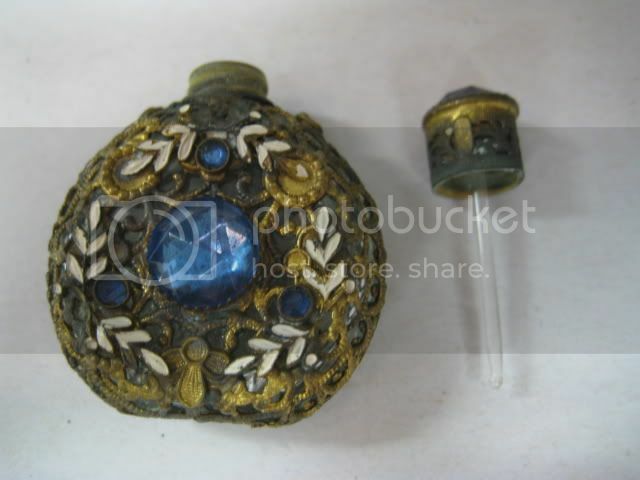 This is a great looking perfume bottle from our antiques mall. 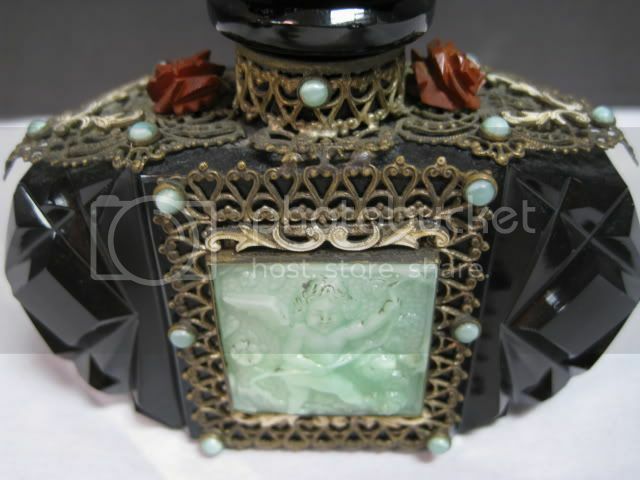 Czech Jeweled Filigree Purse Perfume Bottle! 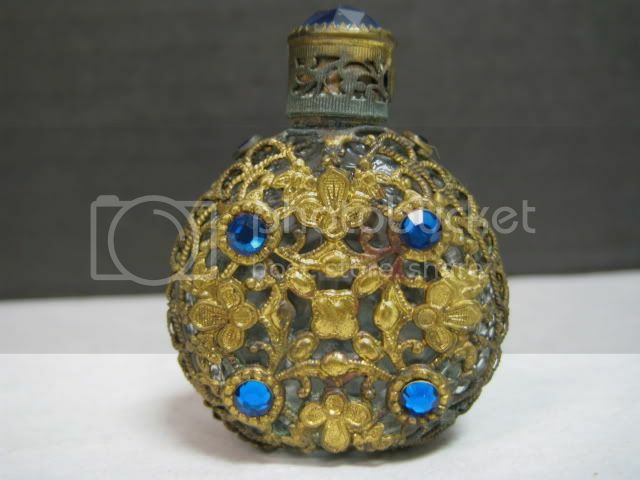 Great looking purse size jeweled filigree perfume bottle with full dauber. 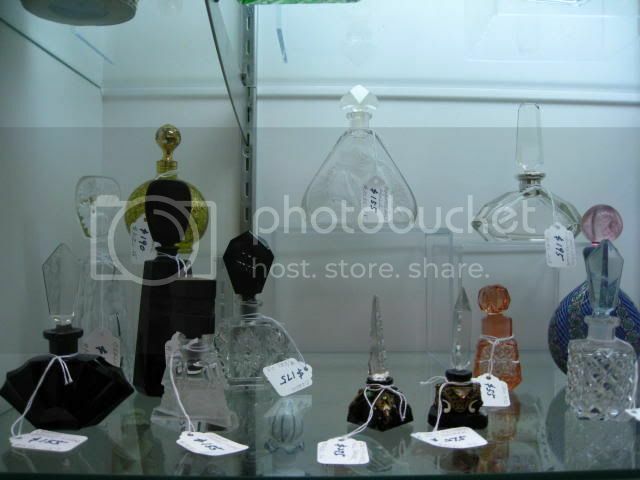 Czechoslovakian Cut Glass Perfume Bottle! 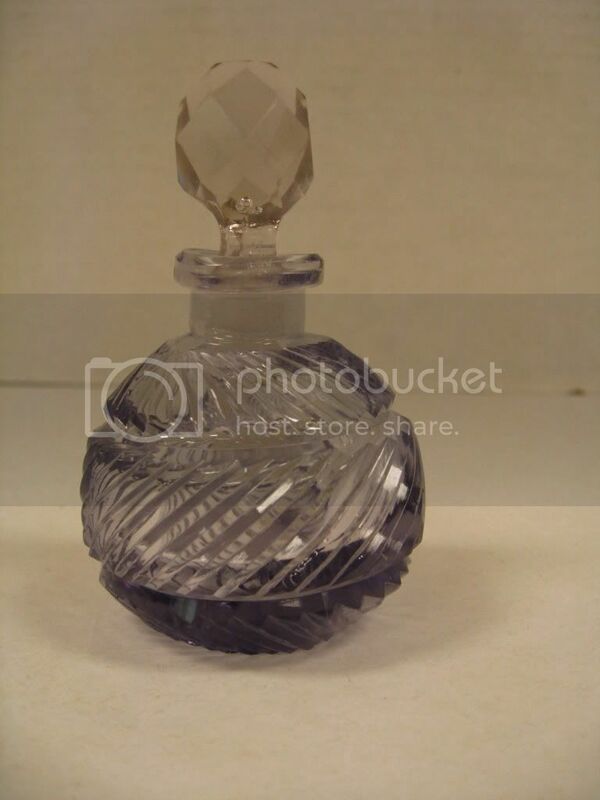 This is a very nice cut glass perfume bottle from Czechoslovakia. It's in great condition, still has a foil label on the bottom, and is acid etched "Made Czechoslovakian". 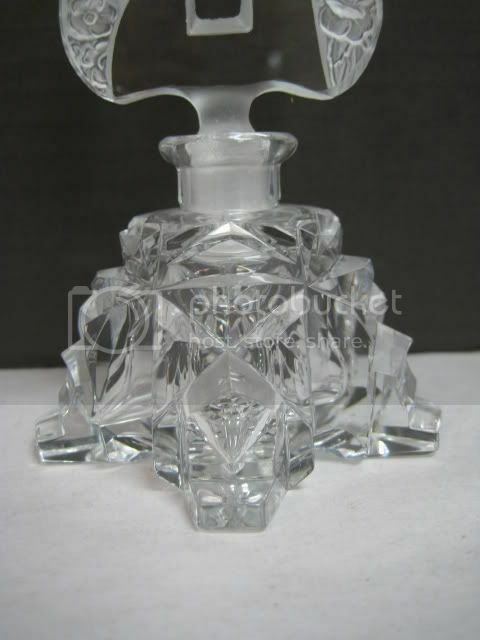 Great cut glass perfume bottle from Czechoslovakia. It looks great and has a nice full dauber. 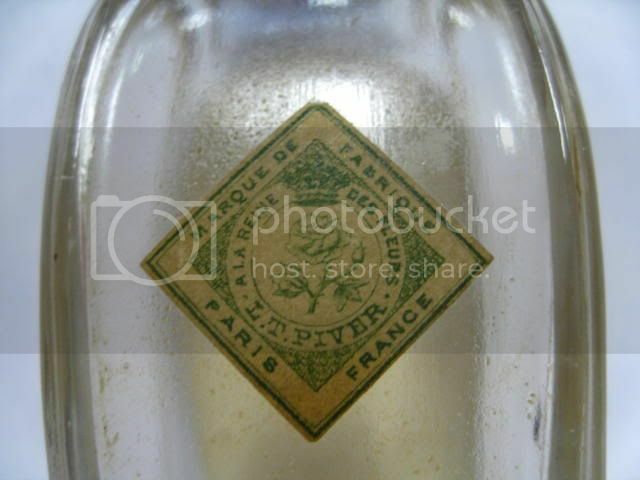 This is just one of the great vintage or antique perfume bottles from our antiques mall. 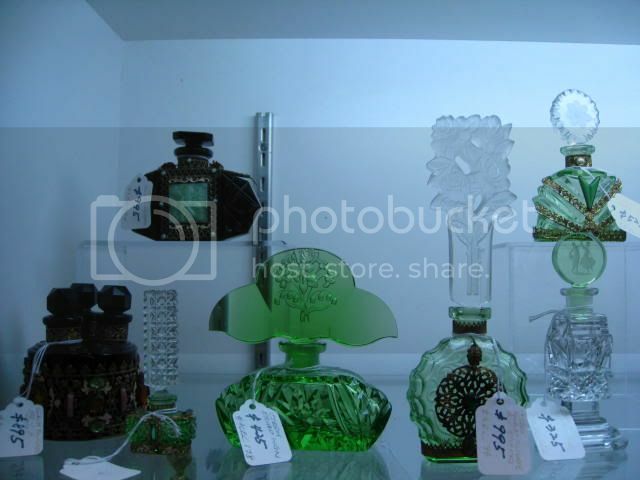 We have hundreds of antique or vintage perfume bottles in our antiques and art mall here in Southwest Florida at Gannon's Antiques & Art. 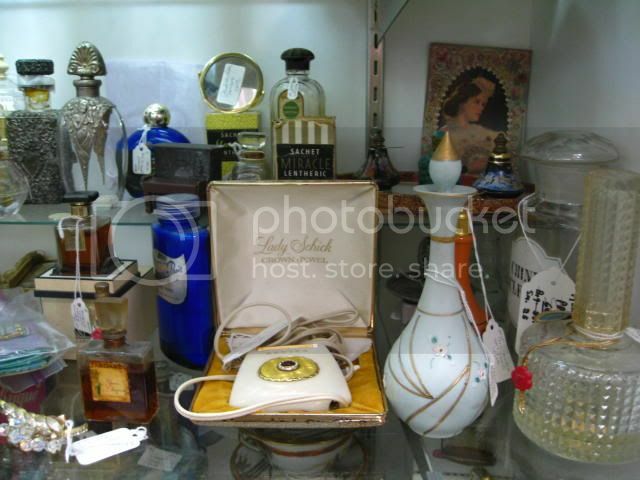 As Southwest Florida's largest and most active antiques center our inventory changes daily. 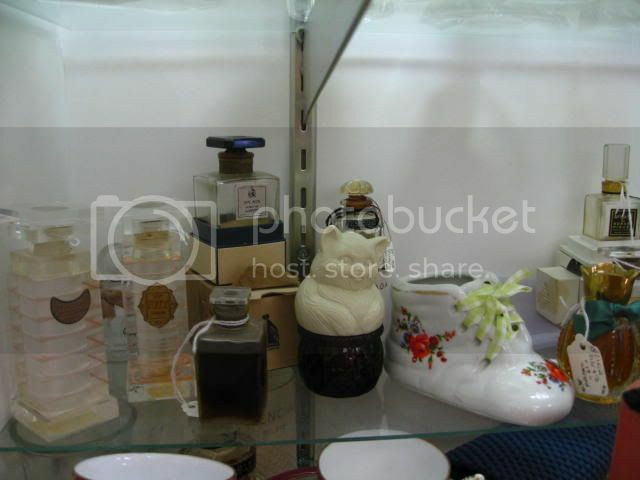 We buy Antique Perfume Bottles items! 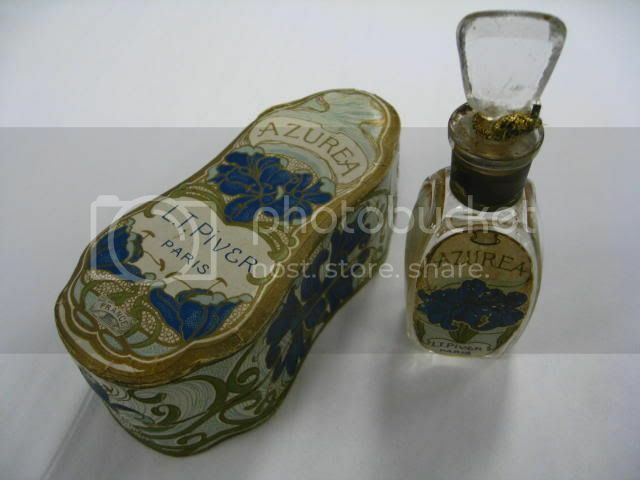 If you have antique Lalique or Bacarrat perfume bottles, we are always interested in adding to our inventory. 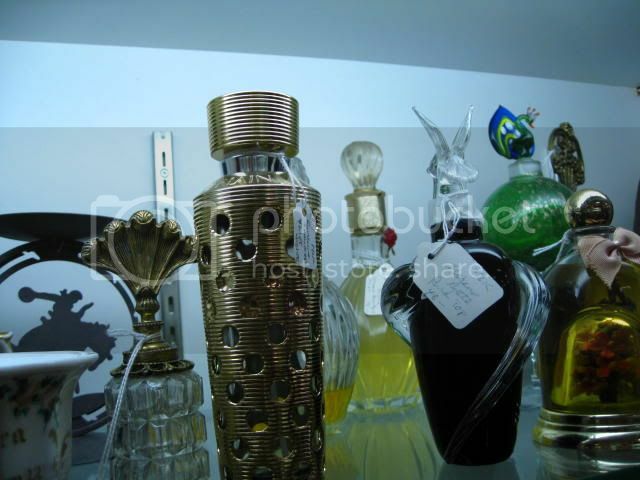 Contact us to sell your items or establishing their value. This is a real treasure. 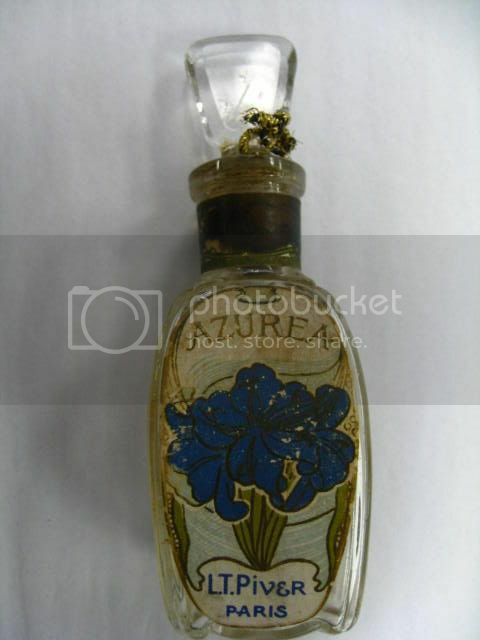 An antique scent bottle that was beautifully hand carved with floral scrolls. The lid and chain are heavy 14K gold. 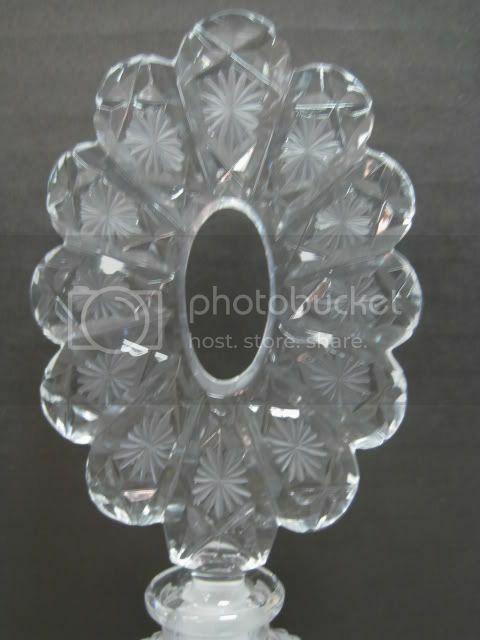 It has two rings of old rose cut diamonds that adorn the lid (1 is missing). A large opalescent mooonstone is at the center. Heirloom quality! 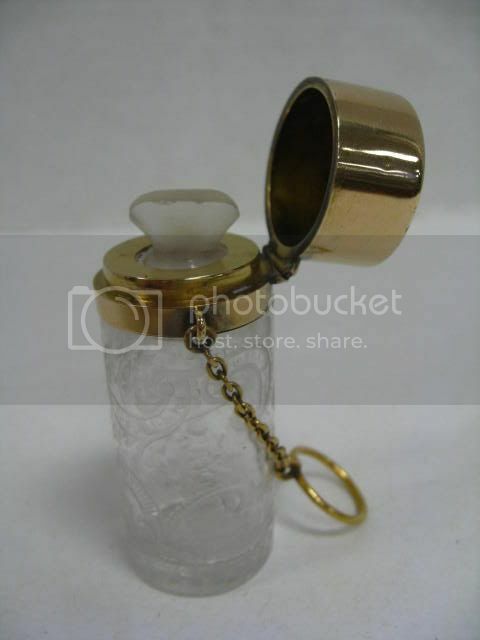 This perfume bottle measures about 2 3/4" tall and looks great. 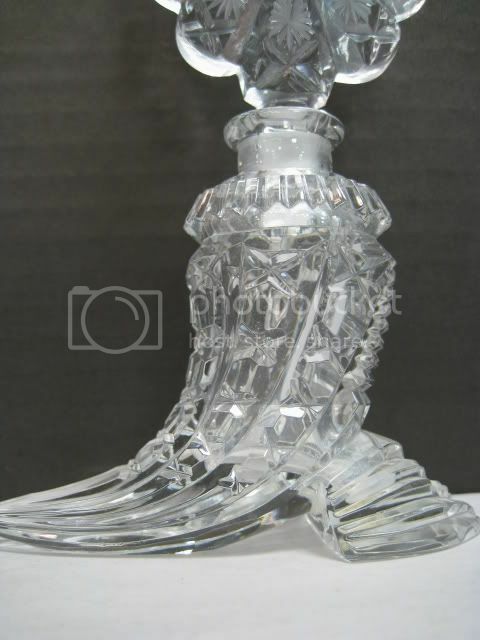 Beautiful antique signed Czech perfume bottle with great fancy glass top. 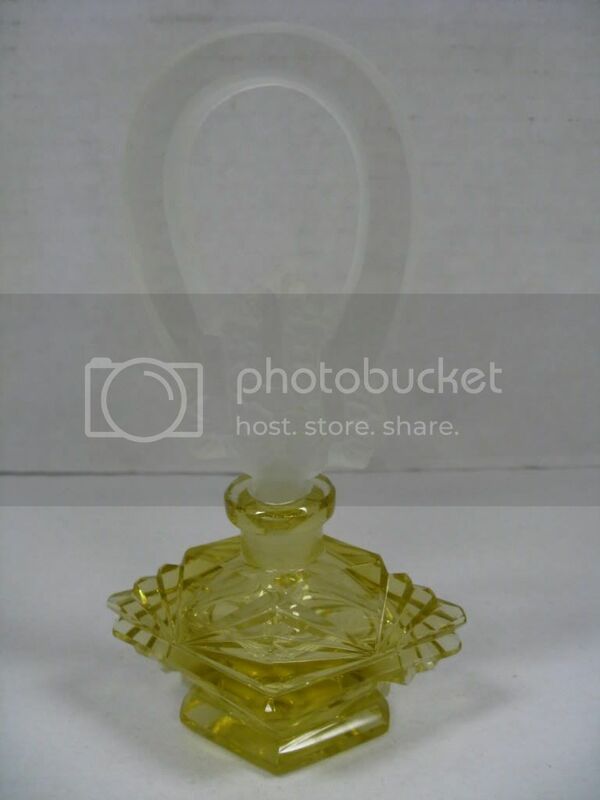 This antique Czech perfume bottle has a cut art deco yellow body with clear and satin fancy top. 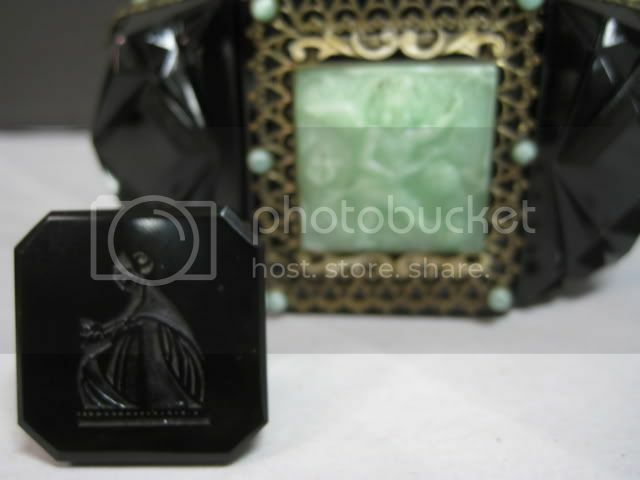 This nice piece stands about 6" tall and is sure to be an excellent addition to your collection. 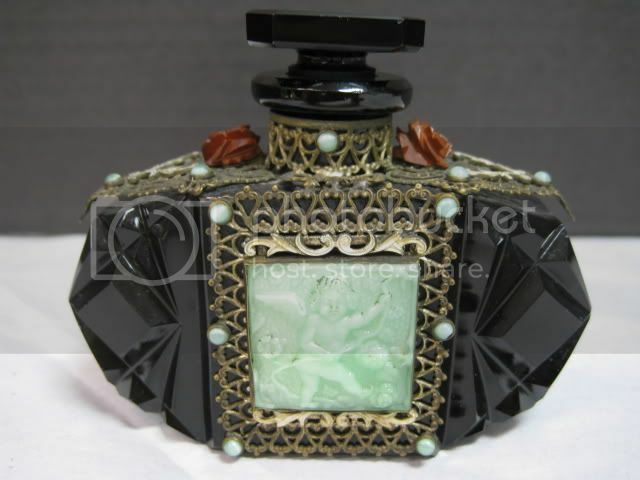 This is a very beautiful antique figural perfume bottle from pre World War II Germany. 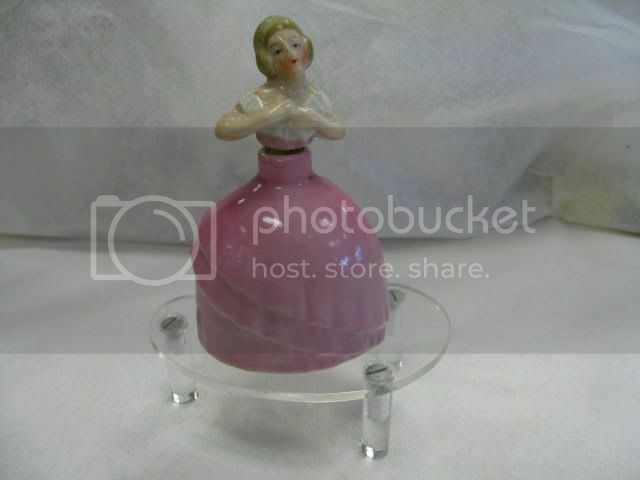 This lovley antique bottle is in the form of a lady in a pretty pink gown. 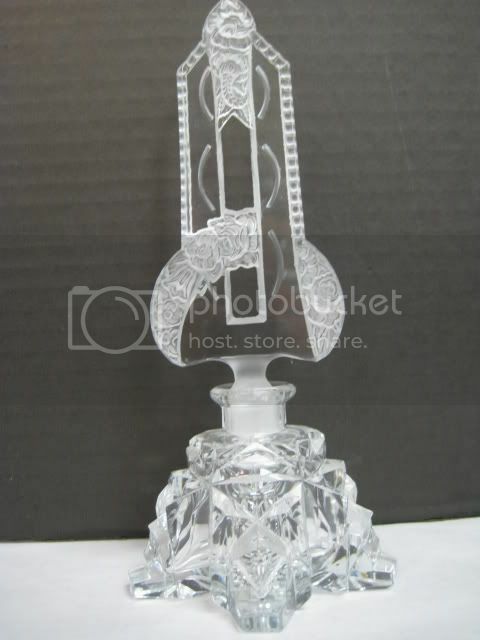 This perfume bottle stands about 3.25" tall and is in great condition. This is a very rare find and is on sale from $125 to $99. 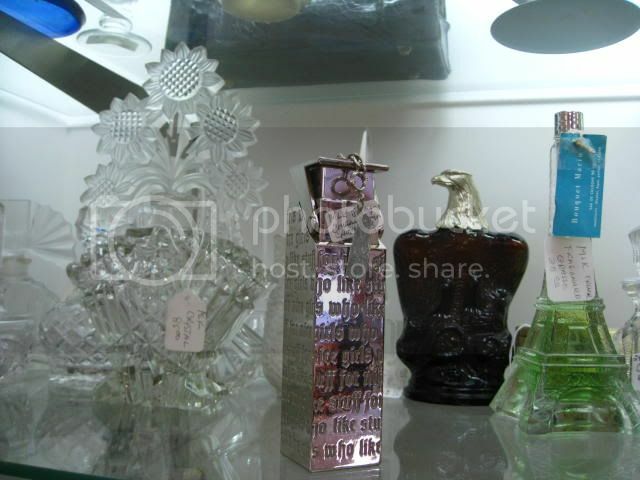 This is an amazing signed Czechoslovakia cut glass perfume bottle. 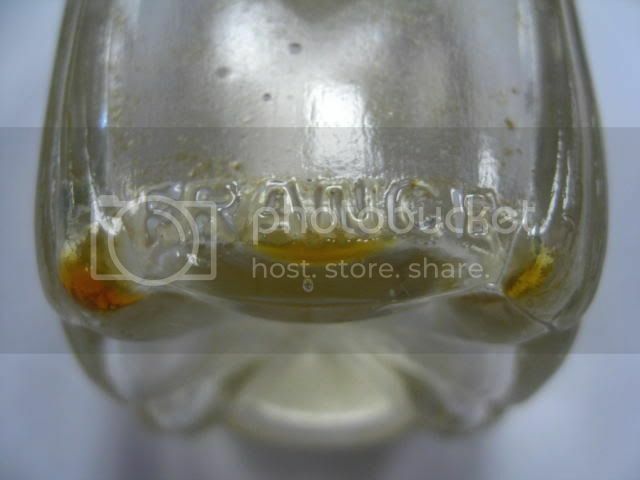 It has soft lavender colors and is in great condition. 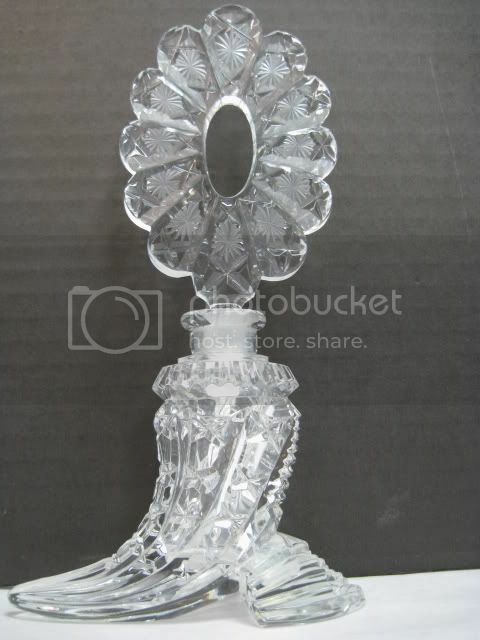 This beautiful piece measures about 3 1/4" tall. 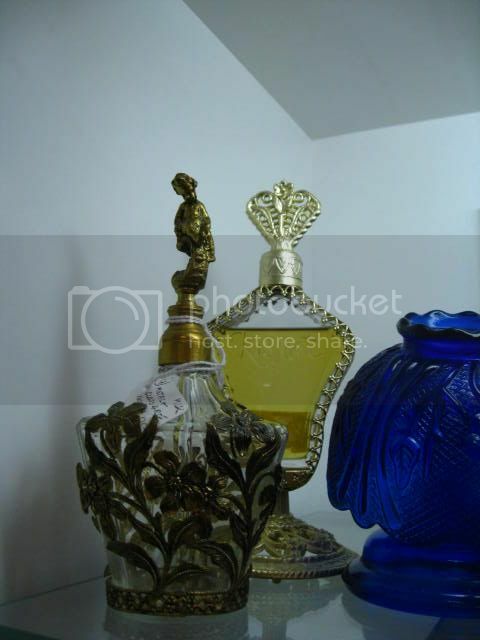 Click here to to go fromAntique Perfume Bottles to our home page!